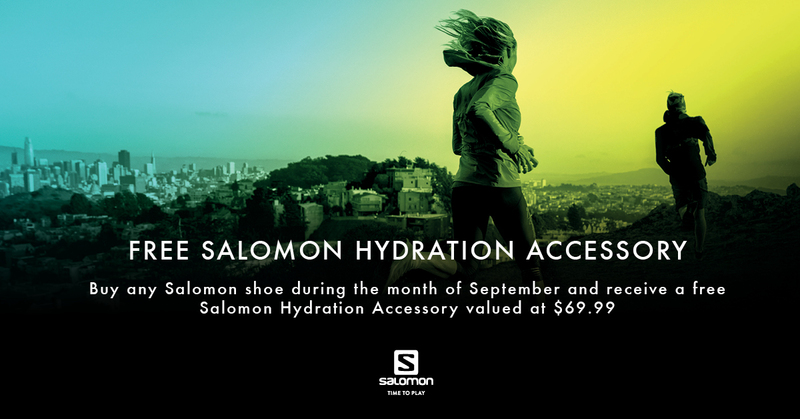 During the month of September, Bogong Equipment is offering a FREE Salomon hydration accessory worth $69.99 with every purchase of Salomon footwear. This is only being offered to very select, premium retailers in Victoria, so at Bogong we're proud to be able to offer this to our loyal customers. See our range of Salomon running shoes.